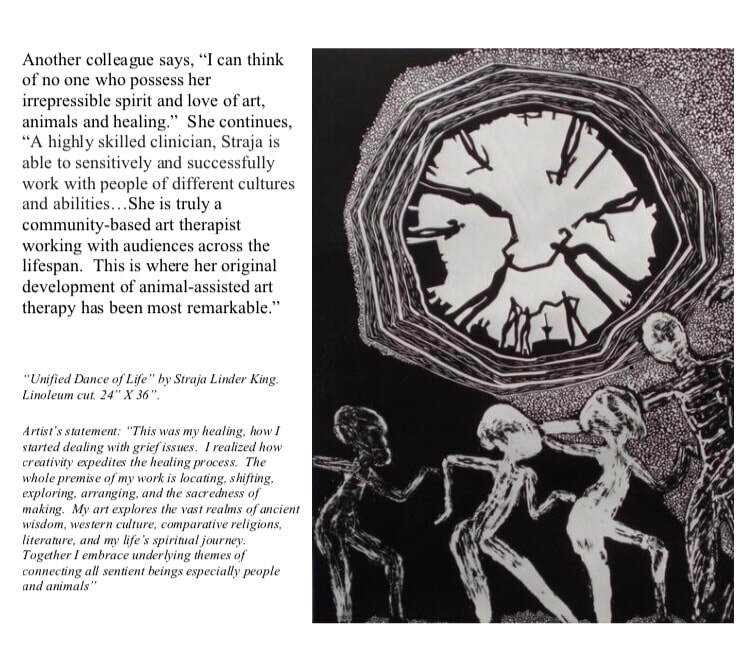 Straja is a Board Certified, Registered Clinical Art Therapist and a pioneer in art and animal-assisted psychotherapy. She accepts clients on an individual and group basis. Straja has a private studio and also works out of St. Stephen's Anglican Church (wheelchair accessible). She can accommodate large groups at St. Stephen's or on location (at your site). ​Whether you are experiencing grief, loss, complicated transition, stress, bereavement, trauma, ADHD, ADD, developmental or learning disability, dementia, problem behaviour, abuse, addiction, brain injury, stroke, Autism, Alzheimers, Aspergers Syndrome, Cerebral Palsy, Spectrum Disorder, MS, Parkinsons or Cancer, Straja's specialized use of traditional psychological, expressive and animal-assisted therapies have proven to be highly effective. 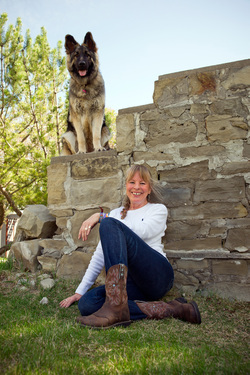 In addition to offering professional clinical counselling services, Straja Linder King is a professional educator teaching art and animal-assisted therapy at University for more than a decade. Her visionary approach includes modern science, ancient and world wisdom. She is often invited to speak of her ground-breaking work to international and national audiences. Straja also offers a variety of group workshops in her studio and on-site.